The rift between the two founding nations of the EU has never been so wide as on Thursday (7 February), when the French government summoned its ambassador to Rome for consultations, after ‘repeated attacks’ coming from the other side of the Alps. The spat turned sour after deputy Prime Minister Luigi Di Maio flew with a Five Star Movement delegation to Paris to meet leaders of the gilets jaunes, a protest movement which openly calls for overturning the French government in its street rallies. Of course, Di Maio carried it too far in agreeing to hold talks with protestors against a longtime allied government, which is something never witnessed before in Franco-Italian political relationship. But the whole situation goes far beyond the meeting with the yellow vests. 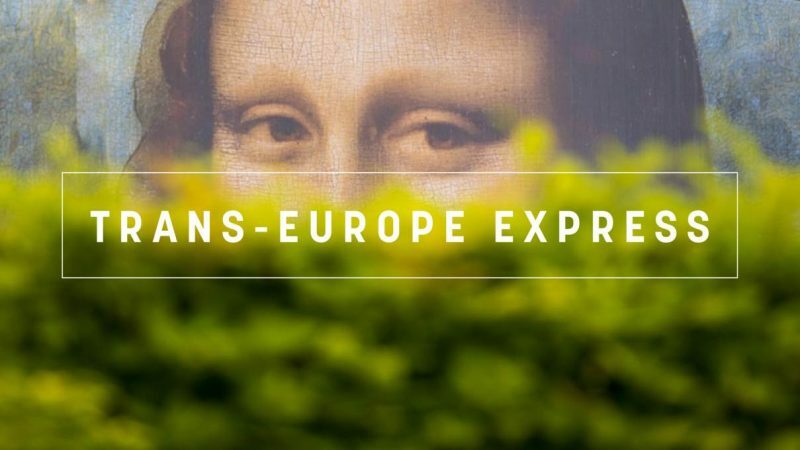 It is, indeed, the natural outcome of a clear method of campaigning for the next European elections – fueling a base and trivial anti-French sentiment. Which precisely explains why both Lega and the Five Star Movement are doing that. Because it brings votes. Italians bear a folkloric and sometimes silly grudge against the French that goes from rivalry in sports to competition over which of the two countries produces the best wine. “Give us back Mona Lisa” is what an Italian would say, jokingly and seriously at the same time, when competition with a Frenchmen is in the air, referring to Leonardo Da Vinci’s masterpiece displayed at the Louvre museum. Five Star Movement and Lega are pushing this idea of competition with France to its limits, and in this sense, the figure of Macron helps to put a face to this perceived “enemy”. The list of insults Salvini has launched at Macron is lengthy: “terrible president” ruling a “terrible government”, “new Napoleon”, a “laboratory product”, a “windbag” and (my favourite) a “polite young man who exaggerates in champagne”. But while Salvini does not go beyond insults and rants, Five Star Movement’s method of using the anti-French sentiment is more sneaky. When they insist on scrapping the European Parliament’s double seat in Strasbourg, they deem it not only as an unnecessary expense for EU taxpayers but also as a privilege for France. They accuse France not only of not taking migrants from Italy, but also of contributing to the migration flow with a form of neo-colonialism in the sub-Saharan region. This attitude toward France, they hope, could bring short-term results in terms of votes but it is threatening historical (and more importantly) diplomatic ties like never before in modern history. Negative energy. France and Germany have revealed surprisingly divergent opinions on the EU proposal to regulate Russia’s Nord Stream 2 pipeline. Mixing subjects? The idea of holding a referendum on national issues from the French “great debate” at the same time as the European elections is generating much discussion in France. Time lapse. Prospects of the UK’s orderly withdrawal from the EU on 29 March remain bleak. The Irish backstop will stay in Brexit deal, the British PM assured Brussels. EU matters. A solution for the simmering tensions in Bosnia and Herzegovina should be found before the EU elections in May, to avoid wider risks for the Balkans, a senior diplomat said. Joining the club. North Macedonia started its accession procedure to NATO this week, while the Alliance is set to steer it through troubled waters. Out of town. The Visegrad 4 countries will hold their first summit abroad – a move which looks like a slap in the face of the EU which tries to stick to a common position towards the Jerusalem question. Conflict of interest. Billionaire Czech PM Babiš may soon become the first European politician found in violation of the bloc’s new law. Crucial cohesion. Cooperation between EU institutions and regional and local authorities is key to fight Euroscepticism, says Romania. Don’t politicize. The Arctic has so far been largely conflict-free. If this ever changes, it will probably be the result of a spillover from other parts of the world. In Brussels’ sights. The Dutch are threatened by an infringement procedure over illegal practices of their favourite maritime resource.